Google CEO Sundar Pichai is getting paid 100 million times more than his predecessor. Last year, the first-year Google CEO got a $100 million stock award on top of his $652,500 salary. Google's compensation committee said it was "in recognition of his performance and increased responsibilities." Larry Page, who graduated from Google's CEO to chief executive of parent company Alphabet (GOOGL) last year, has been paid $1 annually for years. Pichai's stock award was actually granted in January 2015, before he was named CEO. 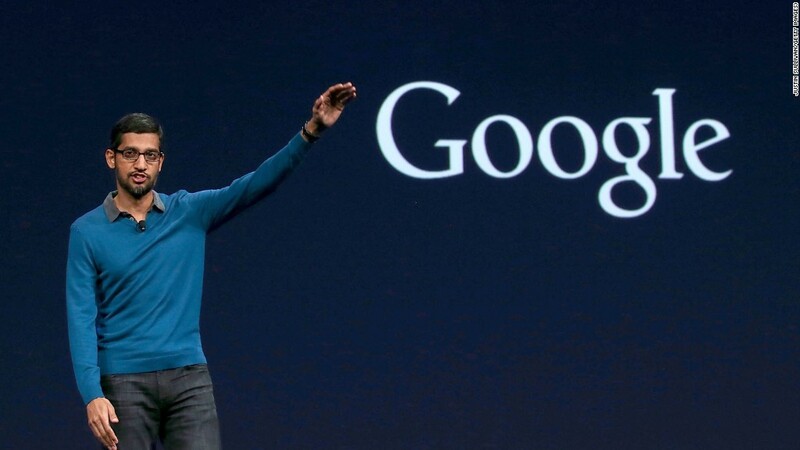 The award was in conjunction with Pichai's promotion to Google's product chief in 2014. He was promoted to CEO in August 2015. That's why, three months ago, Pichai got an even bigger pay package: $209 million in stock granted every other year (he has to stay at Google for four years after each grant to cash them out). During his tenure, Pichai has been granted a total of $489 million in stock options. He was granted $335.7 million in stock in 2014 and $77.7 million in 2013. In a regulatory filing, Google says it "believes that this level of compensation is representative of his value and the opportunities available to him outside of Alphabet." Pichai climbed the Google ladder quickly. He started out at Google in 2004, building the now defunct Google toolbar. In the next few years, he took over Chrome, Google's Web browser. Pichai eventually became vice president, then senior vice president in 2013 when he added Android to his growing portfolio. He wasn't the only Google executive to be compensated handsomely last year. New Chief Financial Officer Ruth Porat got $31 million, and chairman Eric Schmidt took home $8 million. Two outgoing executives also made off well in 2015. Former CFO Patrick Pichette took home $56.5 million and former chief business officer Omid Kordestani made $16.9 million after cashing out their equity grants.